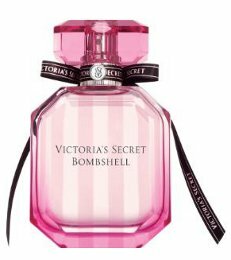 Bombshell is one of those runaway success stories of fragrance that has all the right components. Relatively affordable, accessible, and easy to love. In Bottle: Fresh and clean with a little bit of fruity. Smells like fruity shampoo which is pretty much a goldmine when it comes to mass appeal. Applied: I’m a little frustrated with the notes in this one because while Bombshell does smell generic, it hits that ‘just right’ sweet spot where something can smell generic but be great at the same time. This fragrance can easily go with me on whatever occasion because it just smells clean, fresh and a little bit fruity. It’s the just stepped out of the shower fragrance with it’s opening of fruity cleanness. I’m getting more than just passion fruit in this. There’s a bit of something citrus-like that I want to say is a sweet grapefruit note or a mandarin note and a bunch of other fruits that I can’t even begin to pick out. It’s nicely blended together, at least. If you let it get into the mid-stage the fruity opening turns into a soft, clean floral with a hint of vanilla. Let it dry down and you get less florals and more vanilla. It’s so straightforward and simple and uniform that it’s hard not to like this because it is what it is–your standard shampoo-smelling perfume, but the thing with Bombshell is that it does this shampoo smell so well. Extra: Bombshell was the 2011 winner in the Consumer’s Choice category at the FiFi awards. I can see why this fragrance is so popular as it’s simply easy to love. Design: Dressed in pink with a ribbon even. Bombshell has a pleasing enough shape though the look of her isn’t ultra luxurious, her design gets the job done. The stripes on the bottle can be a bit much but she’s a lovely bottle, very easy to hold, and equally easy to use. Notes: Passion fruit, peony, vanilla orchid. While I do like Bombshell a great deal, I don’t know if it was award worthy. This kind of fragrance is incredibly pedestrian but you can’t argue with the fact that it’s widespread appeal is the direct result of it being so generic. Reviewed in This Post: Bombshell, 2011, Eau de Parfum. This entry was posted in floral, fresh, fruity, Reviews By House, victoria's secret and tagged passion fruit, peony, vanilla orchid. Bookmark the permalink.